It's official: YouTube will not be swinging the ban-hammer in Sam Pepper's much needed direction. Yes, you read that right. YouTube have not only stood their ground in saying that they won't remove the now infamous 'murder prank' video amidst cries from practically the entire Internet (seriously), but they have officially given one clear reason for their lack of action: it does not break any of the community guidelines. 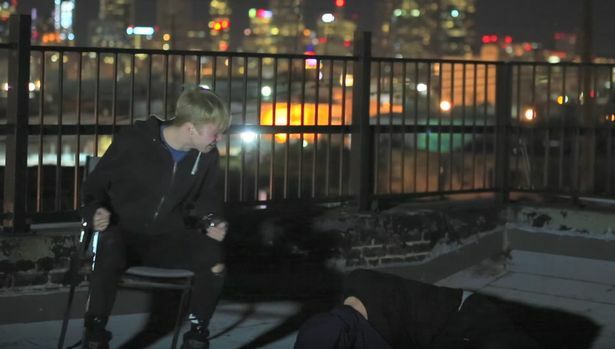 The video, in which Pepper decides it's a good idea to prank Vine star Sam Golbach with a 'kidnap come murder' prank as his BFF Colby Brock gets shot to the head, caused absolute anarchy and uproar across social media . In fact, the topic 'Sam Pepper' remained in Twitter's Top Trends for over 24 hours. Whilst YouTube have had their final say on the matter and Pepper is allowed to maintain his reach on their video platform, the overwhelming backlash across other social media seems to be one of complete outrage and disgust. It will come a shock to those people who have signed the petition to deactivate Sam's channel that their efforts will come to mean nothing in the next critical couple of days. So now we turn to you, our beloved and intelligent Unicorns readers: What do you think needs to be done about the Pepper situation?